Lovely Professional University has released a notification for admission into MBA programmes through the LPU NEST 2019 (Entrance as well as Scholarship Test). This test will have two fold advantage as it will act as Entrance as well as Scholarship Test. Candidates can read all the necessary details of LPU NEST 2019 for MBA admission such as online application form, eligibility criteria, application fee, admit card and result on this page. 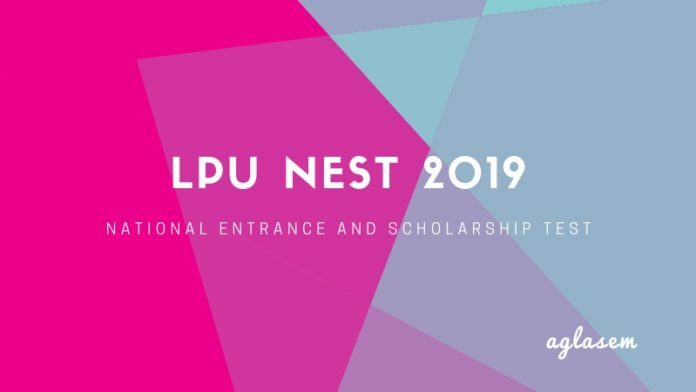 Latest: Last date to apply for LPUNEST 2019 Schedule II has been extended. Click here to apply. Lovely Professional University is conducting National Entrance and Scholarship Test (LPUNEST-2019) for B.Tech aspirants. Students studying in 12th class can apply for LPUNEST-2019. Since its inception in 2009, more than 50,000 students are appearing in this exam (LPUNEST) every year. The Test will be conducted in online mode (Pen and Paper Mode test is not allowed) as per the schedule. Extensive Scholarship: LPU envisages to usher an era of accessible and affordable quality higher education to the youth of our country, as on the basis of LPUNEST-2019 score, the university intends to award extensive Scholarship upto Rs 3 Lac per student. For details of scholarship please refer “Fee and Scholarship”. Schedule for LPU NEST 2019 MBA is given below. Important dates of LPU NEST 2019 MBA Counselling is given below. LPU NEST Application Form is available on the official website of the LPU. Interested candidates are advised to check the eligibility criteria before applying. Candidates can apply through the direct link which is given on the application form page. Register onto LPU’s admission portal with basic details. A unique username/password will be generated and sent to the email id given while registering. Login to the LPU’s admission portal with already created username/password. 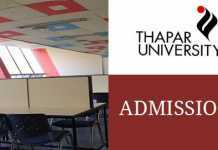 Eligibility document (on the basis of which admission is sought). In case the eligibility document is not available at the time of filling this application form (recently appeared), it may be submitted later on also. This test would be conducted in test centers pan India. For eligibility, the result will be declared on the very next day of appearing in the exam. The result of this Scholarship Test (whether qualified for scholarship or not and amount of Scholarship) will be declared in the 7th day of every month. Qualifying Examination: Applicants appearing for LPUNEST-2019 should have either completed or shall be appearing in 2019, in the final examination of Graduation from University Grants Commission (UGC) recognized University, Institution, college etc. 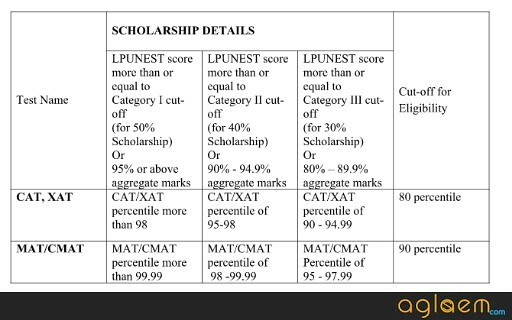 Pass with 50% aggregate marks in Graduation or equivalent subject to valid score in LPUNEST-2019 and Interview. The test duration is of 150 minutes and consists of 100 multiple choice questions (MCQ) of the objective type. The applicant sits in front of the computer and the questions are presented on the monitor and the applicant submits his/her answers through the use of the mouse. The computer is connected to the server, which delivers the test in real time, through reliable connectivity. Online Entrance test assumes that the applicant has basic familiarity in the use of computers like use of keyboard and mouse operation. It is the responsibility of the applicant to acquire these skills before appearing in the test and the university cannot take responsibility for the same. The applicant must ensure that the computer allotted to him/ her is switched on. Any problem with the computer should be informed to the invigilator immediately. The questions appearing on the screen will be in English. All questions will be of the Multiple Choice (MCQ type). Each MCQ will consist of a stem which may be in the form of a question or an incomplete statement and four responses labeled A, B, C, and D. Out of the four responses, only one is correct or the most appropriate answer. Applicants must choose the correct or most appropriate answer by clicking on the button next to the answer. Applicants can navigate freely through the questions. Rough Work – All rough work should be done in the paper/s supplied at the Test Centre. No paper/s should be taken to the test hall for this purpose. Click here to check the Instructions for entrance test of LPU NEST 2019 MBA. Students will be awarded ranks on the basis of marks obtained. In case of two students scoring equal marks in the test, sum of best two subjects will be considered. In case of more students having the same sum of the best two, the one getting single highest in any of the subjects will be considered. All Subjects are compulsory. For English, Current Awareness and General Aptitude each question carry 3 marks each. The language of the entrance test shall be English only. The duration of test will be 150 Minutes. Click here to check the sample questions of LPU NEST 2019 MBA. Click here to the view the list of LPU NEST 2019 Test centres. Associative Language Skills: Vocabulary – Antonyms, Synonyms, One word substitution, Word Analogies, Idioms and Phrases. Common Errors: Sentence Correction and Error Finding Exercises. Comprehension Passages: Closed and Open paragraphs, identifying key ideas or theme. Numbers, Percentage, Profit, Loss & Discount, Ratio & Proportion, Simple & Compound Interest, Permutation& Combination & Probability, Time & Distance, Boats & streams, Races & Games, Time & Work, Pipes & Cistern, Calendar & Clocks, Area, Series completion & Coding – Decoding & Alphabet test, Direction sense test & Blood relations &arrangements, Syllogism, Number, Ranking & Time sequence test, Arithmetical reasoning, Inserting the missing character, Data sufficiency, Cubes and dice, Non-verbal reasoning. 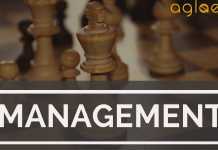 Indian History, Indian Politics, Indian Economy, Financial and Economic news, Budget and National Plan, Who is Who, Sports Events, Books and Authors, Awards and Honours, Science Invention and Discoveries, Abbreviations, Important Days and Weeks, International and National Organizations, Current National and International Affairs. Click here to check the syllabus of LPU NEST 2019 MBA. 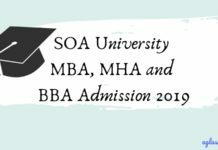 Programme applicable for scholarship under MBA Course is MBA, MBA(Hons. ), All Specialized MBA Programmes like MBA (IT), MBA (Hospital and Healthcare) etc. The details of scholarship details is given below.